Complex unmanned aerial vehicle (UAV) operations place high information processing demands on operators. Dynamic automation or function allocation (DFA) has been proposed as a method to address operator “overload” situations without compromising system/situation awareness. 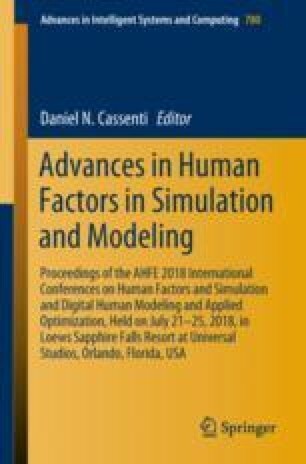 This study made use of a high-fidelity UAV simulation to investigate any benefits of DFA when applied to decision making tasks. Three modes of UAV control automation, including DFA and static high and low level of automation, were compared. A preliminary analysis of operator responses to situation awareness queries showed no significant differences; however, response accuracy in an aircraft detection task indicated superior situation comprehension under DFA as compared to static high level of automation. Results of an embedded secondary task indicated that participants experienced lower cognitive workload when operating under DFA as compared to static low level of automation. Findings of this study could be used for guiding design of DFA approaches for UAV control.